So, almost 6 months have passed since the release of the first version of the SIMS Teacher App – available in the first instance for Apple iOS only. 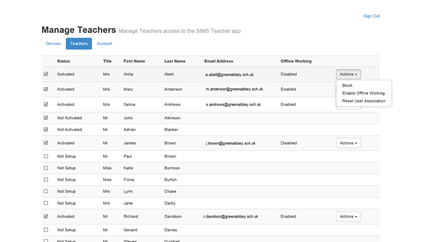 All the while, the aim was to make a Teacher App for all the mobile devices – so one for devices running Android, and also one for those running the Windows App framework on Windows 8.1 onwards. Since the original release, there have been continual updates to the iOS version – responding to both customer feedback in the field, and also functional improvements which didn’t make it into the first version. This highlights a fundamental change in the methodology behind this area of SIMS development. The Apps are free from the 3 times a year update sequences; and can instead use the update mechanisms in the various App Stores supported in the Operating Systems. So far added have been various usability and speed enhancements, mostly supported by improvements in the data caching capabilities in the App. In addition to this, the Azure platform which hosts the system has also received various performance tweaks as a result of telemetry and customer usage data. Also added was the much requested Office 365 authentication. 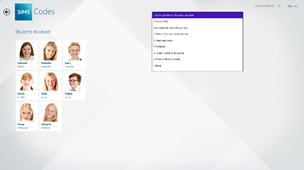 As many schools continue to migrate the email and resources to the Microsoft Cloud platform – this combats a common challenge of multiple credentials for staff to have to remember. Support for Google was already included, which supported those schools and colleges who had adopted this as their Cloud provider of choice. Adding this, either as a new user or an existing deployment is pretty simple. Anyone who has added an Office 365 “App” to their tenancy to share the authentication and access their directory with recognise this process. From the Admin Portal Login, choose the Associate Office 365 users link; which directs you to a confirmation page. You then get the Azure Active Directory sign in page – at this point it is worth noting that you need to be an Office 365 Global Admin to do this. Then it is simply a case of accepting the authorisation for the App to share the sign on in information and Azure AD details. Existing Teacher App users can access the Association setup from the Manage Account section, once logged into the Management Portal. A number of users had felt that the constant need to sign into the app with their full credentials presented a barrier to use. I, it has to be said, don’t buy into this particular school of thought. Afterall, the App does present contact details for students and their parents as part of its confidential information. Where sensitive data is involved, I think that it is always best to err on the side of caution. How many times have laptops been lost for example – so what if an iPad was lost – and it was still signed in? It would only need to be used within wifi range – and the information would be available. As part of the offline working, there have been some changes to the support for authentication. Once the update for offline working is installed – the App will request a Pin code. 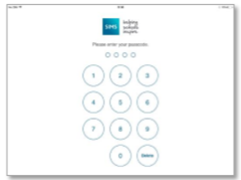 This can be used to quickly sign back into the App… a compromise between security and usability. This is currently in the iOS version, and coming soon to those testing the Windows and Android versions. On the roadmap was support for both on and offline working – which covers scenarios such as fire drills, games and PE, as well as trips and visits. Obviously, this wouldn’t be an issue for devices with built in cellular provision, or in the many places where free wifi is now available. However, it was a much requested feature – and just last week, it was announced that this was being released. The App will show the user when it is working in offline mode – and there will be no need to force a manual sync again when you reconnect. This will all happen transparently in the background – as will a cached download of all the data needed for the day. You’ll be glad to know that if your school enters any valid absence codes while the device is in offline mode, these will not be overwritten. And now the exciting bit (as Im writing this article on a Microsoft Surface)! Confirmed, coming very soon – Windows and Android versions. These latest additions provide teachers with the same core features of the iOS app (recording attendance, achievement, behaviour and checking student details) and will be available from the Windows and Google Play stores. In addition to the Windows app working on tablet devices, the app will also work on Windows 8 PCs and laptops. This last point is particularly interesting, as, when combined with the release of Windows 10 – which will also support native Office 365 authentication. As it is, a number of schools have already adopted Windows 8.1 on both touch and non touch devices. I have had access to a beta version of the Windows App for the past week – and I have to say, it is very close to complete. So far, the only missing functionality are the Marksheets, Teacher search (act as another user) and Offline working – all of which are due for Autumn 2015. One of the key points to appreciate is that the Windows version of the App is not the same as the iOS version. From the outset, the developers had clear guidance – use the design language of the Operating System. This means that the Apps are not a direct “port” of each other, and although the functionality is the same – the user interfaces have subtle differences. 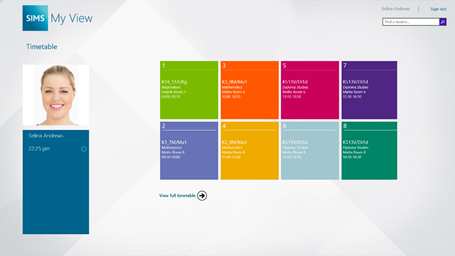 For example, the Windows version takes advantage of the “Modern” interface, with tiles. It is hoped that there may be some live tile support as well – but certainly within the App, there is clear use of the tile layout and the gestures, which will be familiar to any Windows 8.1 and 8.1 for Phone users. 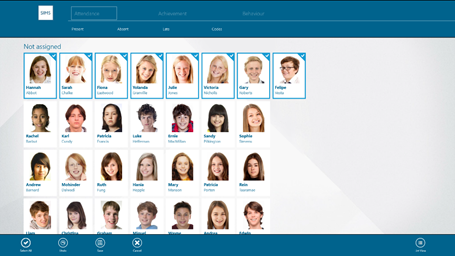 The interface is clean and modern, with a focus on the teacher – student relationship. 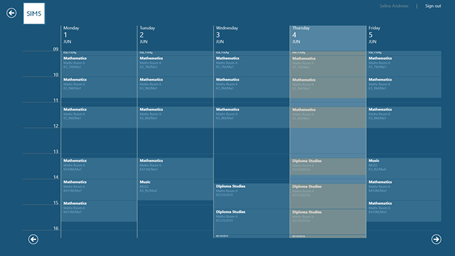 From the home screen – you can see all your teaching groups at a glance. One tap brings them into focus. Like the iOS App, you can choose between a list view, or a fill “student photo” view (which is the default). A swipe down on the student selects them, whilst a tap opens the detail on the student. 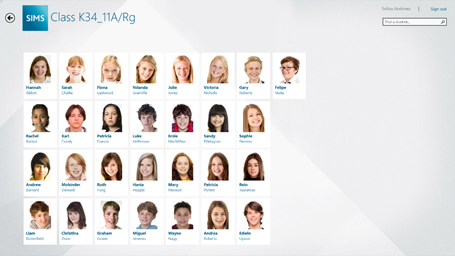 Swipe up from the bottom or down from the top for “action” options – attendance, achievement and behaviour. It would have been nice to see the “Windows Modern” carousel in use here; but it may make it into a later version once more real estate is needed in the menu space at the top. Either that, or the new “Windows 10 App” style hamburger may make an appearance! Meanwhile, at the bottom of the screen are more details select options (all, undo etc) – which becomes save etc once you enter one of the actions (attendance, etc). The options available from within the “action” areas are much the same as the iOS version – with the sliders for time, and tap menus for the reasons. This implementation is particularly tidy, going full screen with the large tiles and enlarged menu drop downs – designed for those with larger fingers! All in all, for an early version – pretty feature complete, and more importantly stable! As an aside, it also works well with a mouse as well as touch. The interface styling is very crisp – how much of that is to do with running it on a Surface though isnt clear. I see no reason however why, once marksheets is added – teachers may not prefer to use this over the desktop SIMS. And that point, will leave a conundrum for the school, and possibly for Capita! 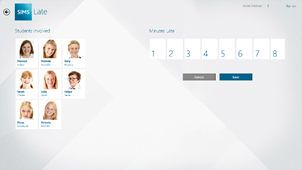 The behaviour and achievement sections are feature complete in this version, and like the attendance detail section, take advantage of the same tile layout. I think this “boxy” interface works very well – it looks crisp, which was a surprise to me as I didn’t think it would work as well as the curves of iOS. Interesting times ahead! With Windows 8.1 being common in schools – the adoption rate of the Windows App may end up being higher than anyone expects! This entry was posted in Capita, MIS, Mobile, Web and tagged Apps, Capita, Cloud, Data, Education, Engagement by Stuart. Bookmark the permalink. Glad to see they adopted the pin code method for logging in, that was the biggest barrier for us as we already have Groupcall Emerge and the teachers love the 4 digit login. Hi, will sims teacher app will become eventually available to android/iphone smartphones?